Designed as a special handy guide outlining the best way to get from A to Z in the Algarve and further afield by plane, bus, train or car. We have tried to make it as reader-friendly as possible with ­direct telephone numbers and website addresses. 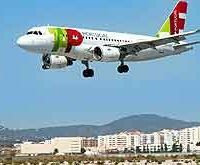 Faro International Airport is situated a few kilometres outside the Algarve’s capital city and about 50kms from Carvoeiro and Lagoa for general flight information telephone 289 800 800/1 or 289 800 617 for arrivals and departures. The lost and found office can be contacted on 289 800 714. The following airlines operate ­direct scheduled flights from Faro to destinations around Europe. a number of coach and bus ­companies with offices and ­terminals in most major towns. There are daily connections along the coast and further inland. There are regular services to numerous major destinations. All local travel agents sell tickets and can provide a full schedule. Lagos in the west. There are several trains daily and ­reser­vations are not required. There are connections at Tunes for inter-regional and mainline routes north to Lisbon ­(includes Alfa Pendular express service), Oporto, and Braga and reservations can be pre-booked. Taxis are all metered, the current rate in May this year was 0.40 euros per kilometre though this was expected to rise by around 5 percent. Below are examples of average one-way fares from ­Carvoeiro. These rates operate ­between 6am and 9pm. Open Monday to Friday 8.30 am to 6pm. pre-fixes of 281 (east) 289 (central) and 282 (west) and the prefix must be dialled whether calling from within or outside the area. For the UK dial 0044 (the ­international code) then omit the 0 area prefix for the number you are ­dialling.